Make your products stand out on Amazon. Our Amazon product content beautifully showcases your brand. In addition, our content provides shoppers with all of the information they need to confidently make a purchase decision. Your Amazon essential content (product titles, bullets, basic product descriptions) plays two important roles. First, essential content feeds the Amazon search engine important information about whether your product is relevant to shoppers. Second, essential content provides online shoppers with a concise overview of your product. Search-optimized essential content should form the foundation of every brand’s Amazon strategy. For over 10 years, we have created content that improves product discoverability and strengthens brand messaging on Amazon and other major retailers. Our expert content provides key information about products giving online shoppers exactly what they need to make confident purchasing decisions. We also integrate keywords into content, ensuring that your messaging keeps up with changes in how shoppers search on Amazon. Need Amazon A+ content? It’s our specialty––in fact, we helped design the first A+ pages, and we remain the leader when it comes to enhanced product descriptions. Amazon A+ content includes multiple product images, keyword-optimized text, product comparison charts, and other features that promote your brand. 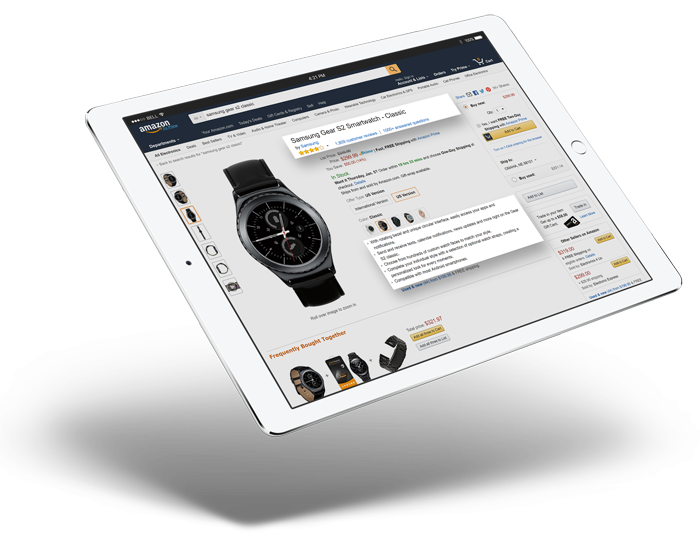 Once shoppers get to your product page, our Amazon A+ content helps them make a purchasing decision by showcasing your product’s most important features and benefits. Content26 is an excellent resource for content creation on Amazon.com. They have a firm understanding of Amazon templates and how to get the most response out of A+ content and are very creative in finding ways to incorporate all necessary product highlights in a limited space with an effective message. They make launching content extremely easy.